Sugar. Can’t live with it, can’t live without it. These days it is found in most foods in staggering amounts and this number continues to grow. As a society we are over consuming and over enjoying this delicious ingredient, but at what cost? On average, we are consuming 22 teaspoons of added sugar per day. At 4g of sugar per tsp that means we are consuming 88g per day! This sugar increase has been associated with an increase in overweight and obesity, heart disease, diabetes and more in the US. 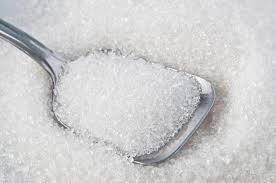 You normally will find sugar in high amounts in foods such as soda, candy, fruit drinks, cereal and baked goods. When you see these ingredients on a product keep in mind that sugar is sugar. Organic brown rice syrup reacts the same as sugar in the body, and one is not healthier than the other. So how much sugar should we be aiming for per day? The exact amount has been debated, but the American Heart Association recommends 6 tsp per day for women (100 calories) and 9 tsp for men (150 calories). When looking at a nutrition label the grams of sugar are listed and there are 4g of sugar in 1 tsp. So if something has 12g of sugar it has about 3 tsp, which is half of the allotted amount for the day. Look at a product right now that may have added sugars (candy bar, soda, etc.) and see how many grams it has in it. Is it under or over the recommendations for the day? Another way to know if you should eat a certain product or not is to look at the ingredient label. 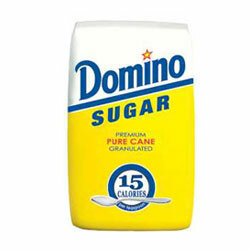 If one of the first ingredients on the label is a form of sugar it might be better to find an alternates. A popular alternate in our grocery stores are sugar free products or beverages made with sugar substitutes such as aspartame. These items can be beneficial if you are trying to reduce your sugar intake or have diabetes, but research is still developing on these products and we are unaware of long term effects. Sugar substitutes have also been found to increase cravings since they are not as satisfying as the real thing, though this is still under debate. How much sugar are you drinking? Read this to see how much sugar is in sweetened beverages. It’s shocking!